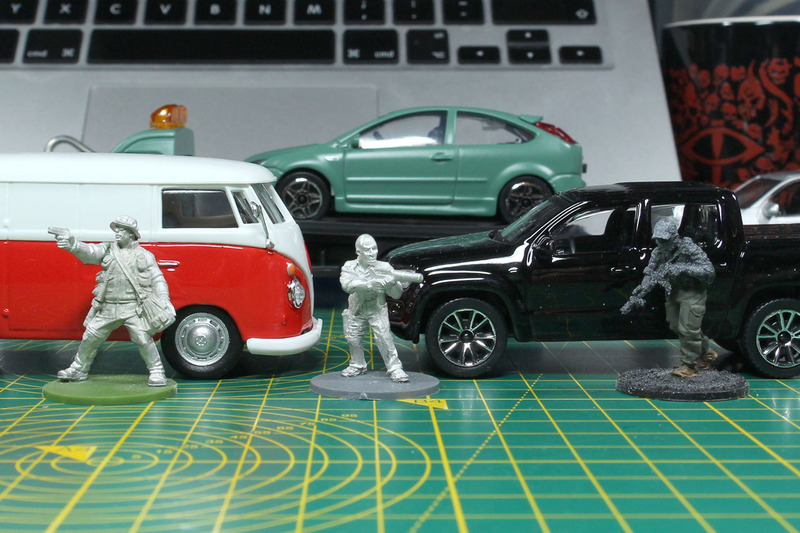 5 years ago I stocked upon some die cast cars in 1:43 at Toysrus, most modern cars for Zombie settings. As mentioned in the Modern Combat article on the humvee, I'm looking for some cars that would work with some border patrols or the era of the Gulf War up to Operation Enduring Freedom. So for that I was looking for older and more exotic cars, that wouldn't be found in western europe. 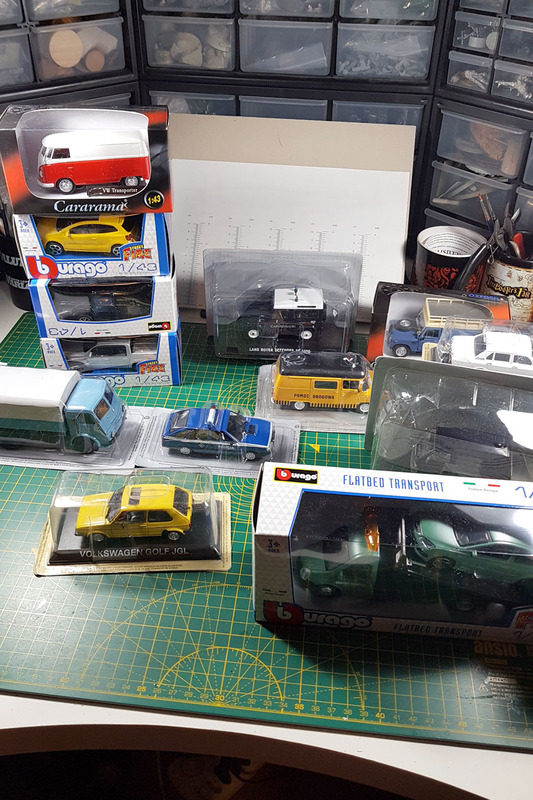 I ordered a bunch of cars at the Italian model car shop, CarModel. After roughly a week a solidly wrapped package arrived, they meant it really good with the bubble wrap. 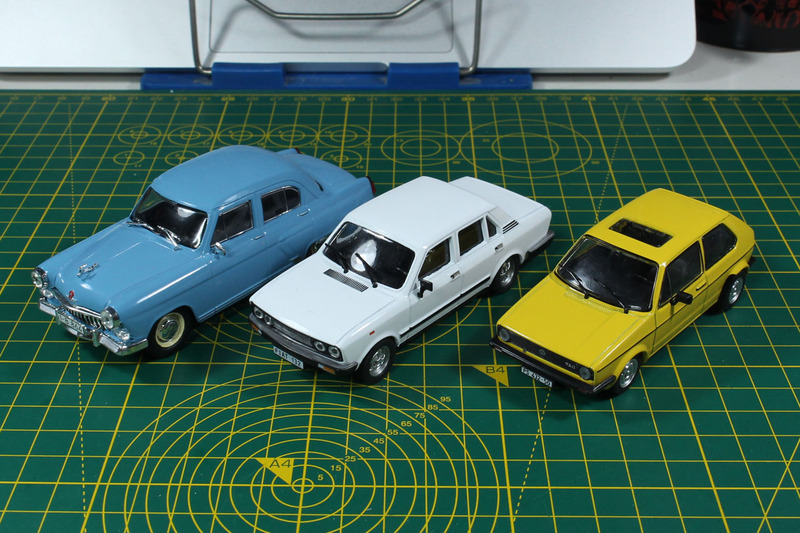 The first set of cars was made by DeAgostini and meant for the eastern european markets. 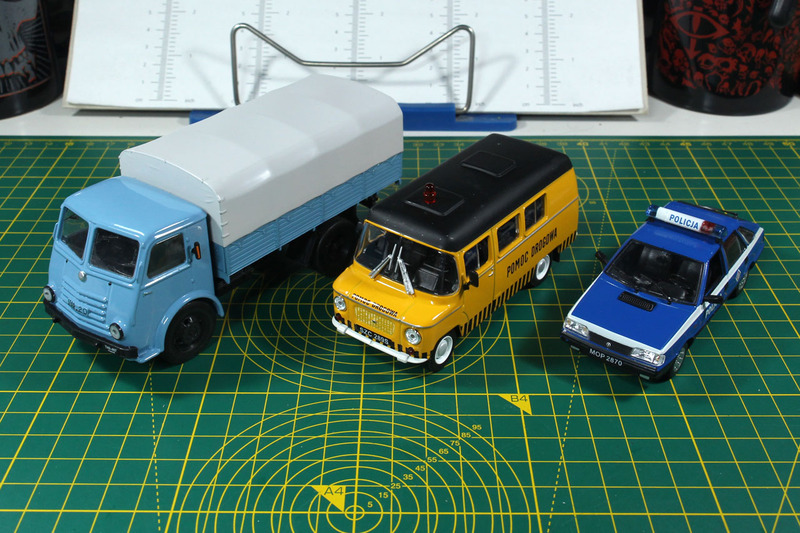 It is a Polish made Star 20 Truck (Model year 1948–1957), Nysa 522 towing service truck (1968) and Polish Polonez police car (model year 1978-2002). I assume I could paint the polish police car into a taxi cab. 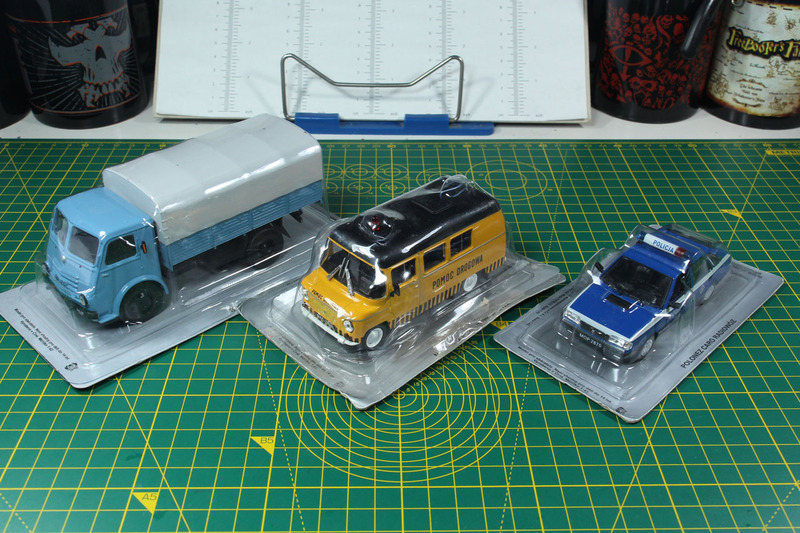 The next set of cars is made by DeAgostini as well and was sold at newspaper kiosks. They came with a little pedestal, that were screwed to the bottom. 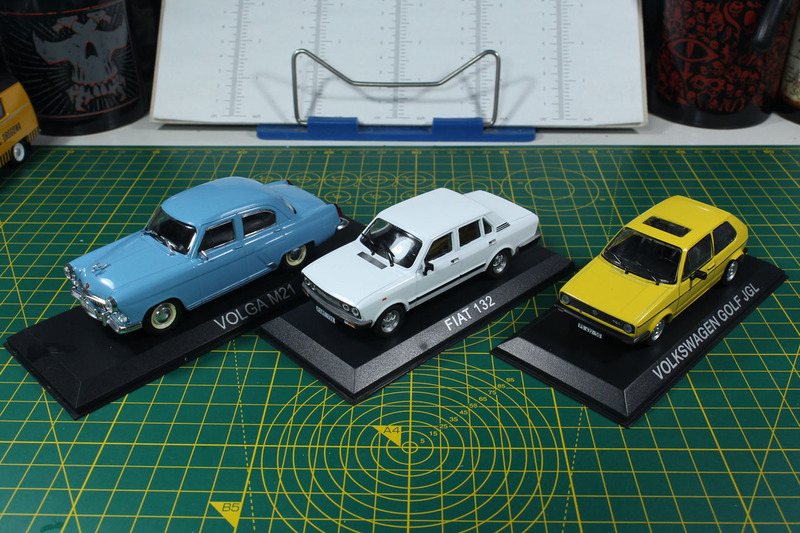 The set included a GAZ Volga M21 (1956 to 1970), a VW Golf Mk I (1974 to 1983) and Fiat 132 sedan (1972 to 1981). 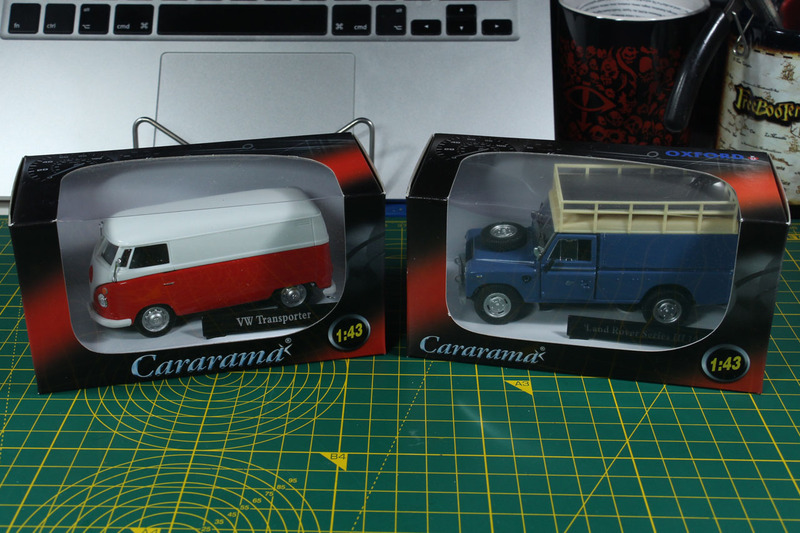 Then two cars bei Cararama, a VW Type 2 "Bully" T1 (1950 to 1967) and another Land Rover, but a Series III 109. 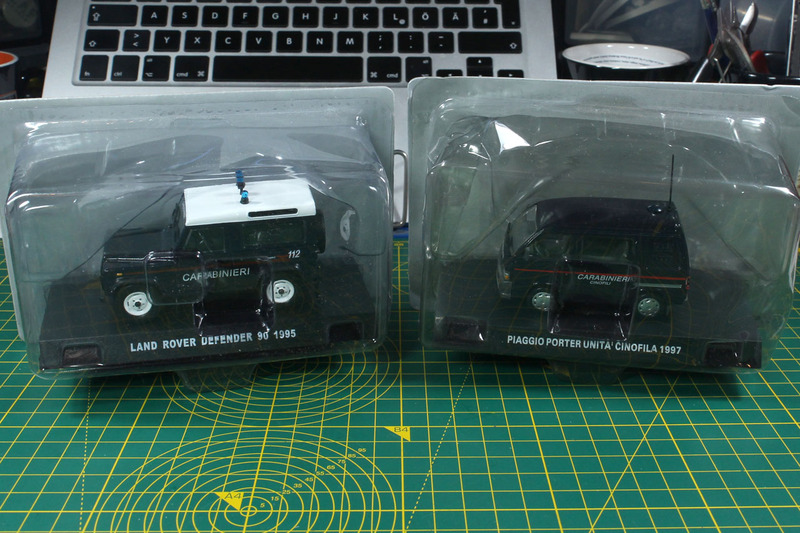 The Type 2 is an iconic van that can be seen all over the world and same goes for the Land Rover. Where there is inpassable terrain, you go for a proper offroad vehicle. 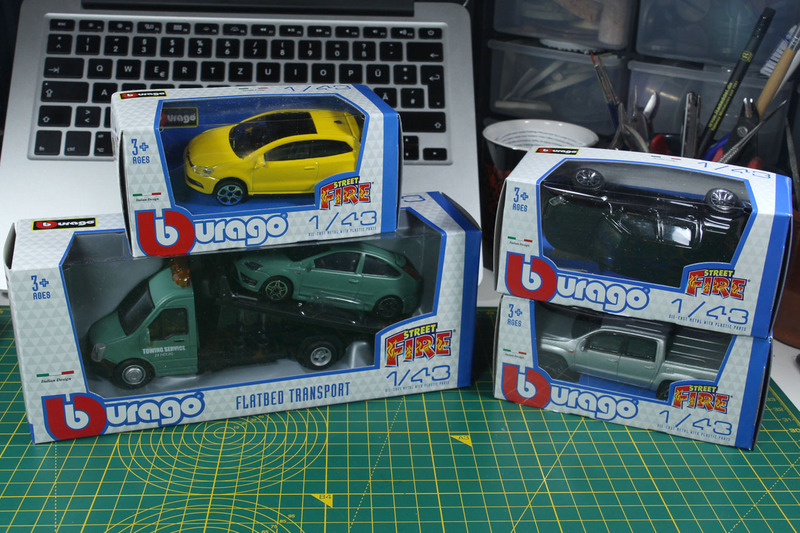 The last batch comes from the Italian company Burago. 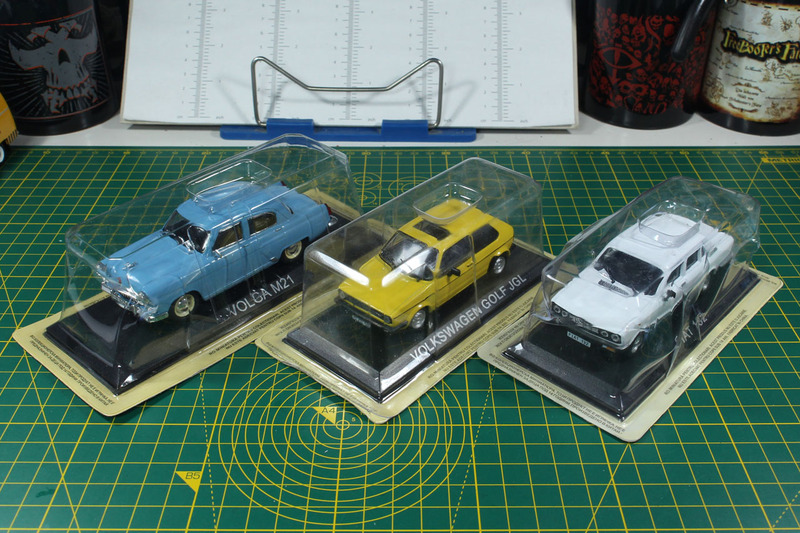 I already own a couple of their cars, mostly sedans of executive car class or above. So I went for something smaller. 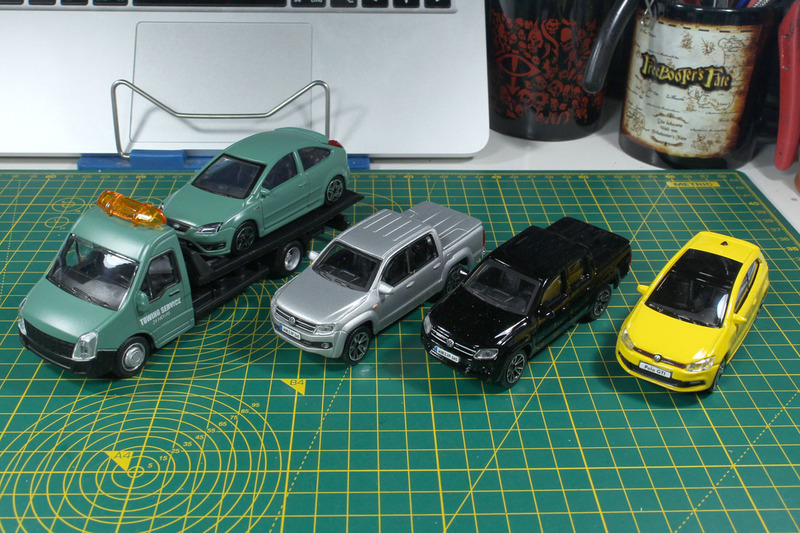 A Polo GTI Mk 5, two VW Amarok (as I lack Pick-Ups) and a towing vehicle with a Ford Focus Mk 2 hatchback. 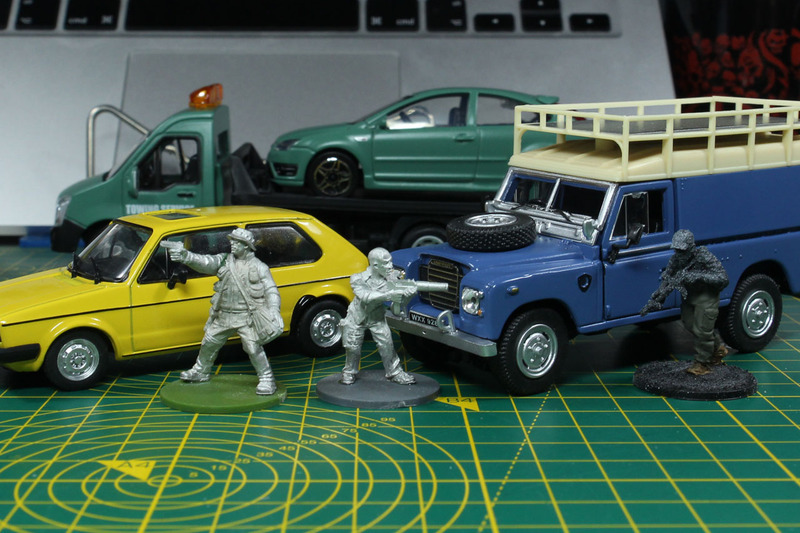 You can mix in the Walking Dead Scenery Booster, if you find one, maybe left-overs from the Black Friday deals. The crashed cars are good addition and there are pick ups in there. 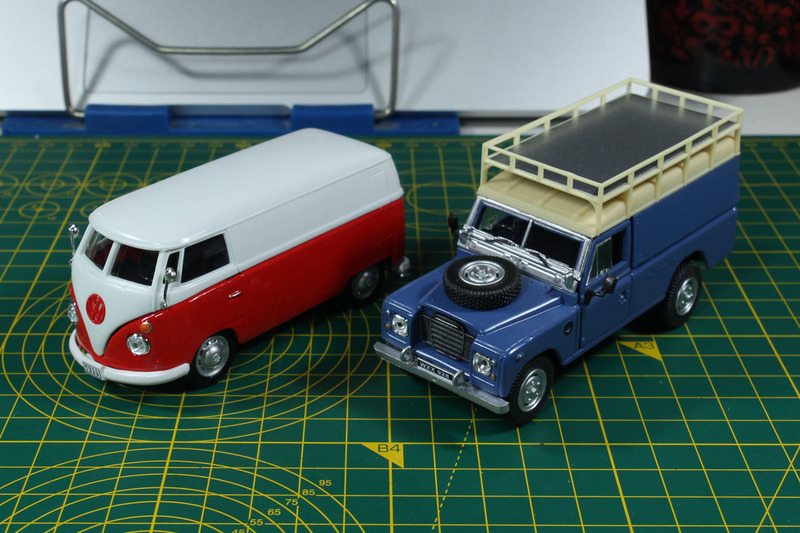 The scale works well with 28-32mm scale, as you can see from the pictures. 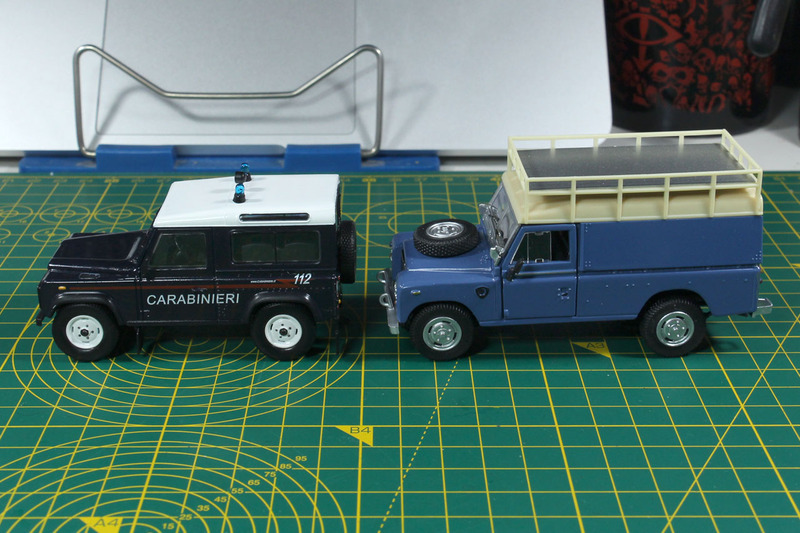 Here in comparison with Hasslefree, Studio Miniatures and Spectre. I tried to go for commercial used vehicles as much as possible, but am still missing some Hilux pick ups. The whole lot you see above cost me around 80 EUR + shipping. Quite a good deal for that amount of cars. 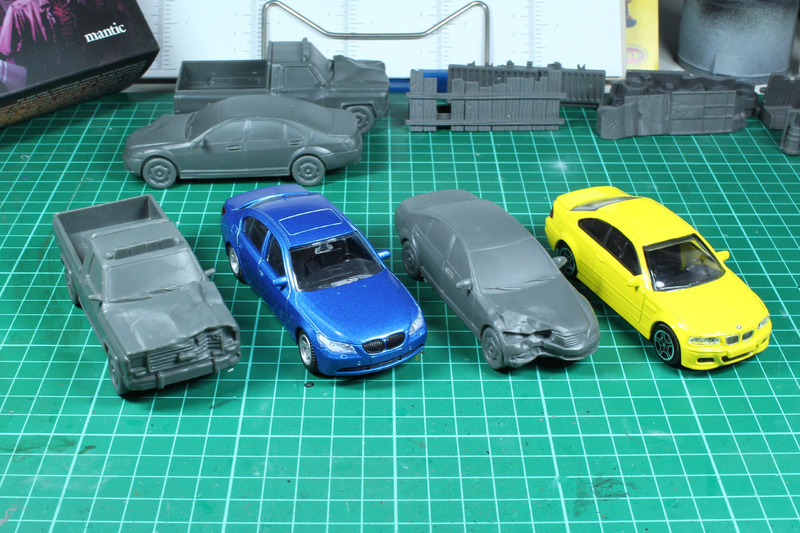 Resin would have cost me much more / left me with way less cars to play with. On some of these, a solid coat with a brown / gray wash will be fine. 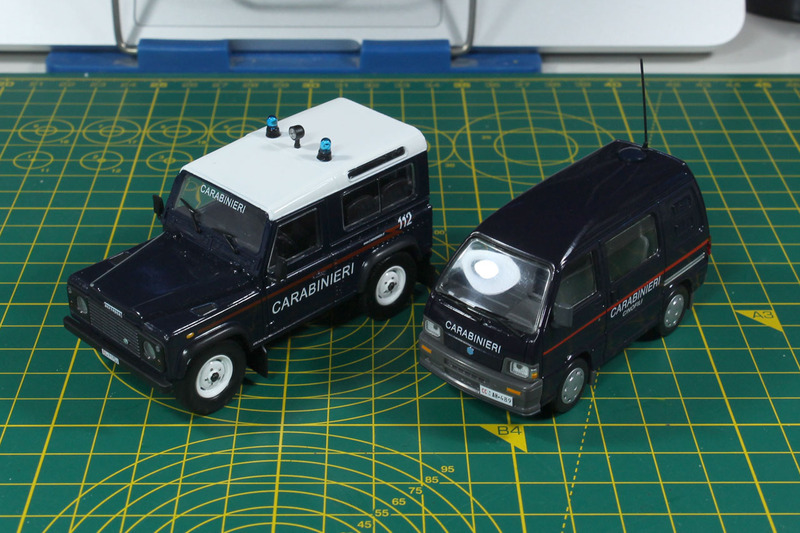 Others need a proper repaint, like the Italian police cars (at least to get rid of the stencils). Looking forward to give them a try. Along with some Jersey barrier, that will be already enough to set up a proper part of a motorway, larger road or custom border. We'll see.